Sara works within the Better Start Bradford Innovation Hub on the Health and Nutrition workstream and is based at Leeds Beckett University. 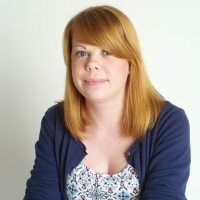 She first joined the Born in Bradford team in 2014 after completing her PhD at the University of Leeds which examined the role of learning in the development of food preferences in preschool children. She has worked on a number of research projects while with Born in Bradford all of which have focused on exploring the determinants of health related behaviours and promoting healthier lifestyles for families and children. Sara is currently developing plans for evaluating the Better Start Bradford projects which focus on improving nutrition and reducing obesity for pregnant women, their families and children aged 0-3.